Trendy, hip, stylish, and a constant party. That’s Marquee Dayclub Las Vegas. A host to some of the biggest DJs in the industry such as Chuckie, EDX, and Avicii, Marquee Dayclub has easily become one of the best go-to spots for a wild time. Known throughout Sin City for its upgraded effects including exciting fireworks, showers of champagne, foam, and confetti, and an impressive state-of-the-art sound system, this dayclub has easily set a high standard for Las Vegas pool parties. Marquee Dayclub offers a spectacular view from the strip, three-story Bungalow Lofts, cabanas, living quarters, and an always popping party deck. With world-famous talent rocking the turntables and putting on some of the city’s best shows, Marquee Dayclub has easily become one of the top ultra pool parties in Las Vegas. Chris Hornak’s guest list can get you and your group into this celebrated dayclub for absolutely free! So don’t stay in your hotel and spend your day watching the news! Head out to Marquee Dayclub and get a taste of what everyone is talking about! A giant pool party full of enthused clubbers, exotic drinks, and lots of fun in the sun. What more can you ask for? 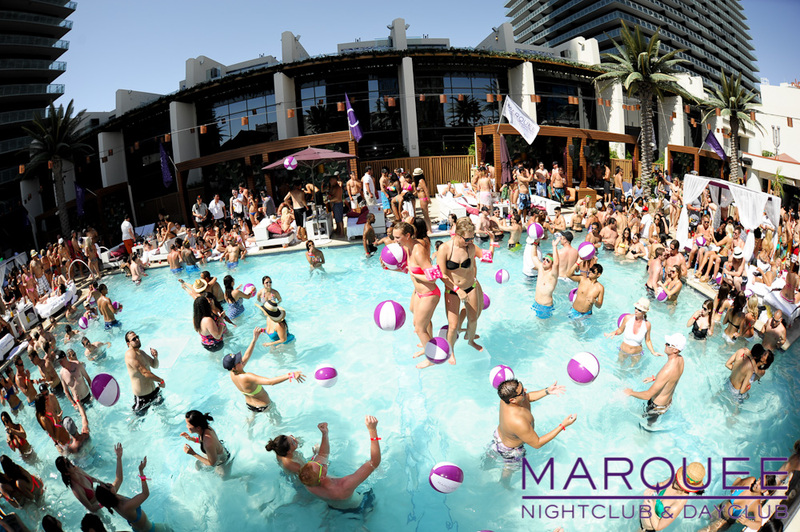 Check out our Events Calendar and see what’s happening at Marquee Dayclub Las Vegas! 14 grand cabanas featuring glass infinity pools, flat screen televisions, and cocktail and food service. Check out our Events Calendar and see what’s happening at Marquee Day Club Las Vegas and view the Dress Code!